More than 30 breweries heading to city in July. This year’s Liverpool Craft Beer Expo set to be the biggest yet. Showcasing the very best of modern beer, Liverpool’s Craft Beer Expo 2018 takes place over the weekend of 26th-29th July at its new home, the Invisible Wind Factory, in the city’s North Docks. 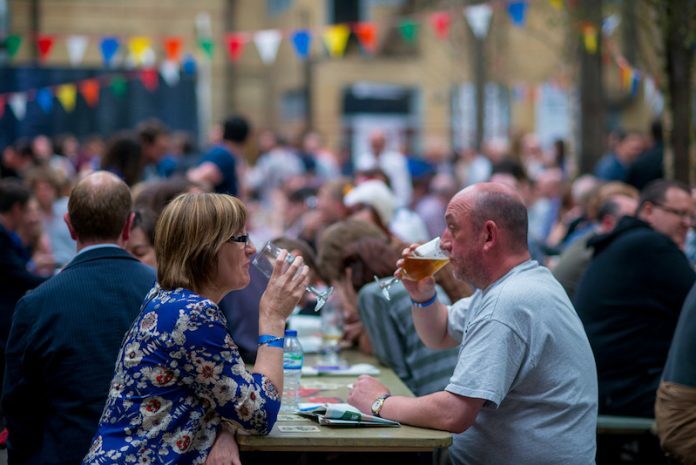 The Expo, which is now in its sixth year, has become a destination festival for both craft beer lovers and the industry alike, and this year’s event sees more than thirty breweries from the UK and Europe attending, with over 300 craft beers available to taste. New breweries rub shoulders with some old favourites, and exhibitors include many well-known names such as Beavertown and Brewdog, Northern Monk from Leeds, and Wylam from Newcastle, plus Liverpool breweries, Black Lodge, which is located in the Baltic Triangle, and Vauxhall’s Mad Hatter. As well as the move to a larger capacity venue to accommodate the thousands of loyal festival-goers, July’s Expo also sees a new format being introduced, with all of the breweries hosting their own bars for the first time, giving beer lovers the chance to talk to their favourite brewers first-hand. Chosen specially to compliment the beers on show, are a number of pop-up restaurants which include Middle-Eastern inspired street-food from Liverpool’s own Hafla Hafla, German sausage specialists, Get Wurst and Indian vegetarian street-food by Bundobust. Known for its live music, a special programme runs throughout the festival weekend and highlights include performances from DJs including; Pooky (Bonsai Hifi), Bido Lito!, Radio Exotica and Anti-Social Jazz Club. To celebrate the new-look Craft Beer Expo, the festival organisers will be giving the chance for you and your friends to win a hotel stay, and a £100 bar tab at this year’s festival. Each ticket purchased online (using the code “comp18” ) before 20th July will get 10% off the ticket price and will be entered into a draw, with the winner to be announced the following Monday. STONE / WYLAM / BLACK LODGE / THORNBRIDGE / NORTHERN MONK / OVERWORKS / MAGIC ROCK / FIERCE / BLACKJACK / NORTH BREW CO / TRACK / DE LA SENNE / THE WHITE HAG / KONA / HALLETS REAL CIDER / LERVIG / NEPTUNE / BEAVERTOWN / BREWDOG / CHAPTER / FIVE POINTS / BOX SOCIAL / DEVIANT & DANDY / MAD HATTER / HANDYMAN / RUNAWAY / TOP ROPE / AD HOP / MELWOOD.